After-market shift cable adjustment tool kit. Includes 2 parts for correct installation. 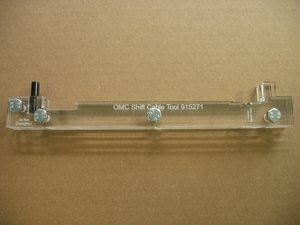 Shift adjustment tool replaces 915271. 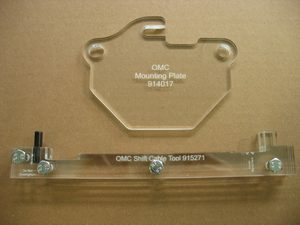 Bell-crank alignment tool replaces 914017. 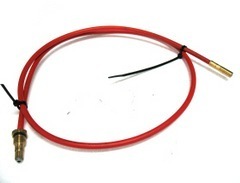 21715 Lower shift cable for the Cobra (1986 - 1993, clutch dog models only. GLM P/N 21715 replaces 987661. 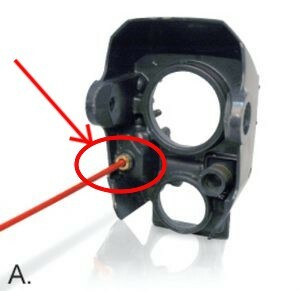 After installing the cable, make sure it is tightly secured into the bell housing (A). 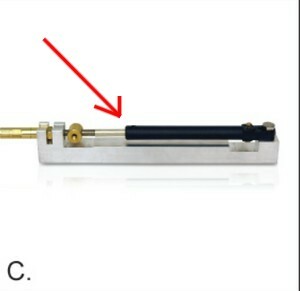 On the engine (boat side), attach the cable end and guide tube (B). 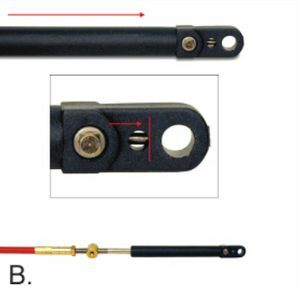 Next, install the engine side of cable into the adjustment tool (GLM 915271, OEM 915271). 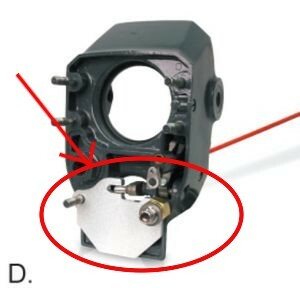 Locate the bell housing lower studs, and slide on the bell-crank alignment plate (GLM 90500, OEM 914017), and re-install the locknut's to hold it in place. Thread the guide retainer onto the cable threads until there is no more slack (E). 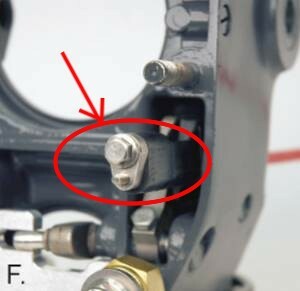 Install and tighten the retaining screw into the guide (F). 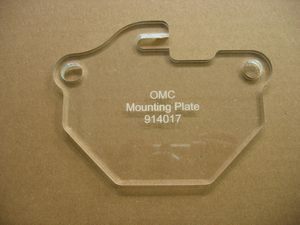 Remove the plate and tool. 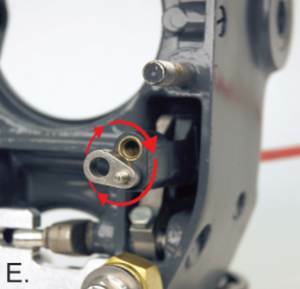 Refer to the service manual on re-installing the outdrive back onto the bell housing, and complete the adjustment process by following the service manual.